Tuesday, August 7, 2018 9:00 p.m.-EST Coach Johnson’s guests on tonight’s show will be Mindy Jenkins from the Tri Cities Thunder and Breana Haines from the North Florida Pumas. IWFFA Radio returns to the WFB Talk Radio Network this Friday and EVERY Friday 10pm-est. Listen to interviews with professionals, players, coaches & fantastics from around the world. woman of the month, advertising & music are all part of the show. clinics, conferences and opportunities to get involved in change. and give us your thoughts, comments or suggestions. Independent Sports Network will be airing the Phantom Phantomz vs Las Vegas Showgirlz on March 16, 7pm-pst Kick-off on www.independentsportsnetwork.com. For all updates be sure to check the twitter feed on the right sidebar or follow @wfbtalk. Join me tomorrow 3pm-pst for Women’s Football Talk as I am joined with Head Coach Robinson of the Colorado Sting, IWFL 2012 Tier III Bowl Contenders. How did the Sting come to arrive in the IWFL, as well as games played in their first season leading to the Tier III Bowl. Also find out what has been developing with this new team as we now head towards the 2013 season. Coach Robinson will be joining me at 3:45pm-pst so be sure to tune in. For more information on the Colorado Sting, visit www.coloradostingfootball.com. Also joining me is Oscar Lopez of Gridiron Beauties for the LFL Review of Saturday Nights match up between the Toronto Triumph and the BC Angels. 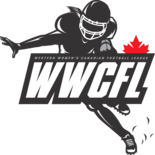 WFB Talk – Women’s Football Talk with your host Bj Coletta, can be heard Every Sunday at 3pm-pst on BlogTalkRadio. Check out the new calendar tab (above or active mini version below) to see all the upcoming WFB Talk Radio Network shows scheduled. Note: Independent Sports Network (ISN/ISPN2) will also be listed since it falls under the WFB Talk Radio Network umbrella.